Illinois Department of Natural Resources (IDNR) biologist Frank Jakubicek holds up the Spotted Gar (Lepisosteus oculatus) specimen found in the North Branch Channel of the Chicago River in September 2014. Photo by IDNR (used with permission). 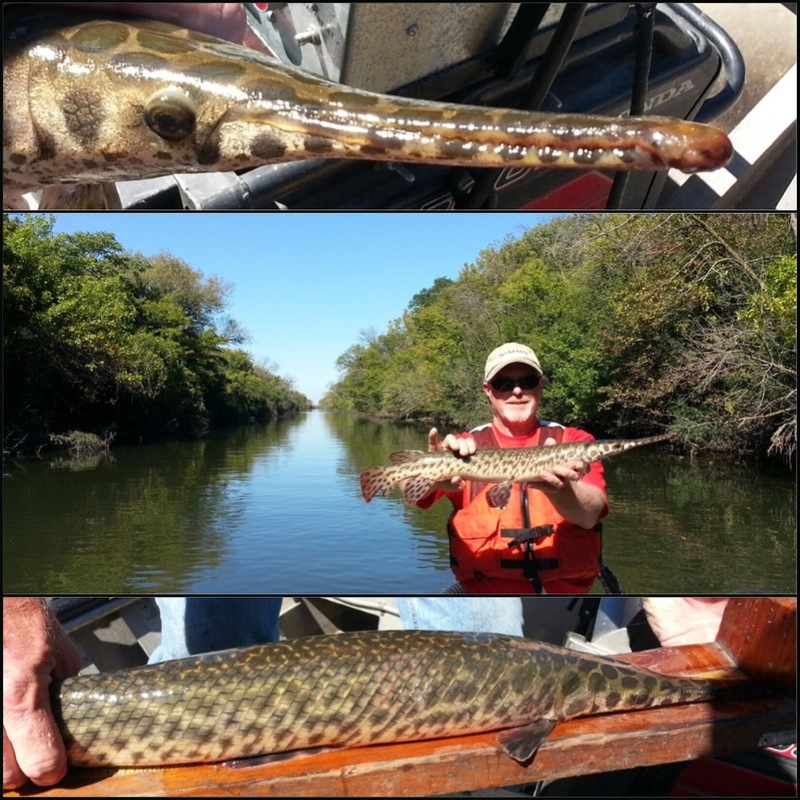 Earlier this fall (September 2014) during a routine survey on the lookout for Asian carp (Bighead and Silver Carps), Illinois Department of Natural Resources fisheries biologists instead found a Spotted Gar (Lepisosteus oculatus) in the North Branch Channel of the Chicago River. This marked the first finding of the species in the Chicago Area Waterways System (CAWS), and northwestern-most occurrence of the species in Illinois (and the Great Lakes region). As you can imagine, we were quite excited to get involved and expound upon the implications of this find! In preparation for an upcoming more detailed commentary and new entries (finally! ), we are posting some links to the media accounts of the find, as well as the National Geographic blog by Primitive Fishes author Solomon David. More to come! Could lone spotted gar be a harbinger of clearer water? This entry was posted in Chicago, gars, Great Lakes and tagged Chicago, ecology, fish photos, gar, gars, Great Lakes, IDNR, photos, primitive fish, Primitive Fishes in media, Spotted Gar by Solomon R David. Bookmark the permalink.